The company known as "the front page of the Internet" has a new leader. Reddit's interim CEO Ellen Pao has resigned. Co-founder and former CEO Steve Huffman will replace her. "She did an incredible job," board member and Y Combinator president Sam Altman told CNNMoney. "She stepped into a really messy situation." Pao, who became interim CEO in November 2014, said the decision to step down was mutual after conversations with the board regarding how fast Reddit could grow its user base. Before joining Reddit, Pao gained recognition for filing a lawsuit against Kleiner Perkins Caufield and Byers, one of Silicon Valley's most recognizable venture capital firms. She accused the firm of gender discrimination and retaliation in a case that spotlighted sexism in Silicon Valley and lifted the curtain on the tech industry's boy's club. Pao lost the case and is currently appealing. Her departure from Reddit comes on the heels of a series of events that left Reddit users calling for her resignation. Users and moderators were up in arms after Pao fired Victoria Taylor, a popular employee who served as a liaison between moderators and the company. 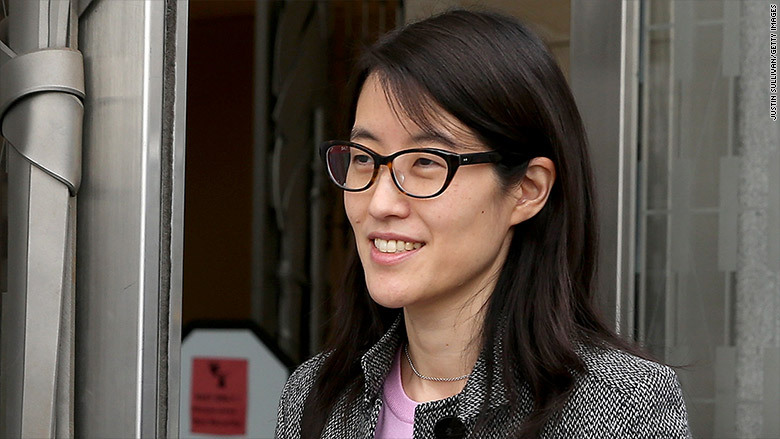 An online petition calling for Pao's resignation collected more than 200,000 signatures. The firing spotlighted growing frustrations regarding the lack of communication between the site's administrators and its moderators -- unpaid volunteers who help run the site. Pao apologized in a post, telling users, "We screwed up," and promised to improve communication and build better tools for moderators. Despite the tumultuous last few weeks, Pao says her time leading one of the web's most outspoken communities taught her to "remember the human." "Everybody has good and bad," she said. "You try to encourage the good and discourage the bad." But many Reddit users complained about the lack of clarity regarding the company's policies. It's one of the reasons Altman says Huffman was a "benchmark candidate" when the board started discussing other options. "He actually built Reddit, he wrote the code," Altman told CNNMoney. "The chance to get that back was so special." One of Huffman's challenges as CEO will be to balance the open forum with tools that curb harassment. Huffman, who left Reddit in 2009 and co-founded travel startup Hipmunk, is also tasked with bridging the growing divide between Reddit's users and its administrators. He says he will prioritize getting to know the team, building tools for moderators, and making clear guidelines on what is and isn't acceptable behavior on Reddit. "We give a pretty large target on what's acceptable," Huffman told CNNMoney. "There are only a very small number of topics that we will absolutely censor." Redditors are a vocal community and will undoubtedly have opinions about any changes. "It wouldn't be Reddit if half the front page wasn't a meta discussion about Reddit," Huffman said.